"Study drug: BRL29060/Paroxetine (Paxil)", SmithKline Beecham, 20 August 1993, amended 24 March 1994. Study 329 was a clinical trial conducted in North America from 1994 to 1998 to study the efficacy of paroxetine, an SSRI anti-depressant, in treating depressed teenagers. Marketed as Paxil and Seroxat (among other names), paroxetine had been released in 1991 by the British pharmaceutical company SmithKline Beecham, known since 2000 as GlaxoSmithKline (GSK). The drug made $11.6 billion between 1997 and 2006. Led by Martin Keller, then professor of psychiatry at Brown University, study 329 became controversial when it was discovered that the article which reported the trial results – published in 2001 in the Journal of the American Academy of Child and Adolescent Psychiatry (JAACAP) – had downplayed the trial's negative findings and had been ghostwritten by a PR firm hired by SmithKline Beecham. The controversy led to several lawsuits and strengthened calls for drug companies to disclose all their clinical research data. New Scientist wrote in 2015: "You may never have heard of it, but Study 329 changed medicine." The JAACAP article on study 329 was never retracted. The journal's editors say the negative findings are included in a table, and that therefore there are no grounds to withdraw the article. In September 2015 the BMJ published a re-analysis of study 329's data. This concluded that neither paroxetine nor imipramine had differed in efficacy in treating depression from placebo (an inert pill), that the paroxetine group had experienced more suicidal ideation and behaviour, and that the imipramine group had experienced more cardiovascular problems. Study 329 compared paroxetine, a selective serotonin reuptake inhibitor, with imipramine, a tricyclic antidepressant. Funded by SmithKline Beecham, study 329 was an eight-week, double-blind, randomized clinical trial conducted in 12 university or hospital psychiatric departments in the United States and Canada between 1994 and 1997. The study compared paroxetine, a selective serotonin reuptake inhibitor marketed as Paxil and Seroxat, with imipramine, a tricyclic antidepressant marketed as Tofranil, in teenagers aged 12–18 with a diagnosis of major depressive disorder of at least eight weeks duration. Martin Keller, then professor of psychiatry at Brown University, had proposed the trial to the company in 1992  as the largest study until then to examine the efficacy of SSRIs in children. The trial's protocol described two primary and six secondary outcomes by which it would measure efficacy. After a screening phase from April 1994, 275 male and female patients were randomly assigned paroxetine, imipramine or placebo (an inert pill). Of the 275, 93 were given paroxetine, 95 imipramine and 89 placebo. The paroxetine group were given 20 mg daily for four weeks, rising to 30 mg at week five and 40 mg at week six if the clinician thought it appropriate. One hundred and ninety completed the trial. The last study visit was in May 1997 and the blind was broken in October. In addition, eleven subjects on paroxetine, compared to five on imipramine and two on placebo, experienced serious adverse events (SAE), including behavioral problems and emotional lability. The researchers defined an event as an SAE if it resulted in hospitalization, involved suicidal gestures, or was regarded as serious by the subject's doctor. In the 93 taking paroxetine, the SAEs consisted of one subject experiencing headache while tapering off, and ten experiencing psychiatric problems. Seven of the ten were hospitalized. Two of the ten experienced worsening depression, two conduct problems such as aggression, one euphoria, and five emotional lability, including suicidal ideation and behaviour. Of the 95 patients on imipramine and the 89 on placebo, one in each group experienced emotional lability. [n 2] Yet the article in JAACAP later concluded that, of the 11 patients who experienced SAEs, "only headache (1 patient) was considered by the treating investigator to be related to paroxetine treatment." The results from study 329 were "insufficiently robust to support a label change," according to the company in 1998. The paper explained that the company had decided not to submit 329 and 377 trial data to regulators, and discussed how to "effectively manage the dissemination of these data in order to minimise any potential negative commercial impact." An attached memo said the results were disappointing and would not support a label claim that paroxetine could be used to treat adolescents: "The best that could have been achieved was a statement that, although safety data was reassuring, efficacy had not been demonstrated." The paper said: "it would be commercially unacceptable to include a statement that efficacy had not been demonstrated, as this would undermine the profile of paroxetine." It stated that study 329 had shown "trends in efficacy in favour of Seroxat/Paxil across all indices of depression ... [but had] failed to demonstrate a statistically significant difference from placebo on the primary efficacy measures." Study 377 had shown a high placebo response rate and had "failed [to] demonstrate any separation of Seroxat/Paxil from placebo." The company decided to publish study 329 but not 377, and not to submit either trial to the regulators, because they were "insufficiently robust to support a label change" for adolescent use." The document was leaked during a lawsuit and first published by the Canadian Medical Association Journal in March 2004. In response a GSK spokesperson said that "the memo draws an inappropriate conclusion and is not consistent with the facts ... GSK abided by all regulatory requirements for submitting safety data. We also communicated safety and efficacy data to physicians through posters, abstracts, and other publications." Although the JAACAP article listed Martin Keller and 21 other physicians or researchers as the authors, it had been written by Scientific Therapeutics Information (STI), a PR company in Springfield, New Jersey, specializing in communications for the pharmaceutical industry. STI had worked with SmithKline Beecham on its promotion of paroxetine since the early 1990s. [n 8] In April 1998 Sally K. Laden and John A. Romankiewicz of STI sent SmithKline Beecham an estimate of $17,250 to work on six drafts of the study 329 paper, including the final draft, to cover the period up to March 1999. The sum was payable in installments: $8,500 upon initiation, $5,125 after draft three, and $3,625 upon submission to the journal. The estimate covered all writing, editing, library research, copy editing, art work and coordination with the phsyicians and others who would be named as authors. Martin Keller would be listed as the main author. The first draft was ready by December 1998. SmithKline Beecham documents show that Laden and STI coordinated the entire publication process, including writing the cover letter to the journal that published the article, JAACAP, which she sent to Keller with the instruction that he transfer it to his own letterhead. STI first submitted the article to the Journal of the American Medical Association (JAMA), which rejected it in November 1999. Concerns cited by JAMA reviewers included that "the main finding of the study is the high placebo response rate." They also suggested that the named authors confirm they had been "granted full access to the data set to verify the accuracy of the report." Early drafts of the paper for JAMA did not mention the serious adverse events (SAEs). 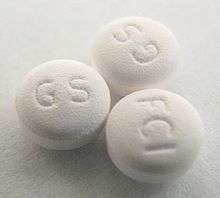 A SmithKline Beecham scientist, James McCafferty, added a paragraph about these in July 1999, adding that 11 patients on paroxetine had experienced SAEs, against two on placebo: "worsening depression, emotional lability, headache, and hostility were considered related or possibly related to treatment." This was changed in the final draft to: "Of the 11 patients, only headache (1 patient) was considered by the treating investigator to be related to paroxetine treatment." In December 1999 Laden submitted the rewritten paper to JAACAP, led at the time by editor-in-chief Mina K. Dulcan. According to Melanie Newman in the BMJ, JAACAP's reviewers wrote that the results did not "clearly demonstrate efficacy for paroxetine," and asked whether, because of the high placebo response rate, SSRIs should be regarded as first-line therapy. JAACAP accepted the article in January 2001, and published it in July. Twenty-two researchers were listed, led by Martin Keller, including James P. McCafferty of GSK, though his company connection was not included. Of STI and Sally Laden, the published article said only: "Editorial assistance was provided by Sally K. Laden, M.S." The abstract concluded: "Paroxetine is generally well tolerated and effective for major depression in adolescents." McCafferty's paragraph about worsening depression and emotional lability possibly being related to the treatment had been removed. The only SAE attributed to paroxetine in the JAACAP article was in one patient who had reported headache. The article continued: "Because these serious adverse events were judged by the investigator to be related to treatment in only 4 patients (paroxetine, 1; imipramine, 2; placebo, 1), causality cannot be determined conclusively." It concluded: "The findings of this study provide evidence of the efficacy and safety of the SSRI, paroxetine, in the treatment of adolescent depression." Over two million prescriptions for paroxetine were written for children or adolescents in the US in 2002. GSK used the JAACAP article to promote paroxetine to doctors for use in their teenage patients. The drug had not been approved for use in adolescents. 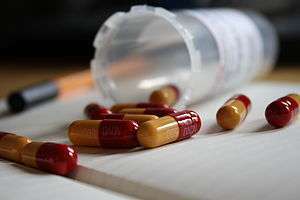 Drug companies are prohibited from promoting drugs for unapproved uses, but doctors are permitted to prescribe drugs for what is known as off-label use. In the UK 32,000 prescriptions were written for children and adolescents in 1999, and in the US that figure rose to 2.1 million in 2002, earning GSK $55 million. In August 2001 Sally Laden, the article's author, arranged for GSK to buy 500 reprints of the article; 300 were for Keller and 200 for Zachary Hawkins of GSK's Paxil Product Management team, to be distributed to the company's neuroscience sales force. On 16 August Hawkins sent a memo about study 329 to "all sales representatives selling Paxil" calling study 329 a "'cutting-edge,' landmark study," and stating that "Paxil demonstrates REMARKABLE Efficacy and Safety in the treatment of adolescent depression." The memo said that paroxetine was "significantly more effective than placebo" on certain outcomes. Hawkins added: "Paxil was generally well tolerated in this adolescent population and most adverse events were not serious. The most common adverse events occurred at rates that were similar to rates in the placebo group." Scottish reporter Shelly Jofre presented four investigative programmes on paroxetine for BBC Panorama between 2002 and 2007, including one on study 329, Secrets of the Drug Trials (2007). In November 2002 Britain's Medicines and Healthcare Products Regulatory Agency (MHRA) called a meeting with GSK to discuss the safety issues Jofre had raised in the first programme, The Secrets of Seroxat (2002). The MHRA asked GSK about its clinical trials in children. GSK was planning to apply for pediatric indications for paroxetine in June 2003. At the time the Summary of Product Characteristics for paroxetine in Europe said that its use in children was "not recommended as safety and efficacy have not been established in this population." According to the MHRA, "GSK did not raise any concern about lack of efficacy or adverse reactions in the clinical trials in the paediatric population at that meeting." GSK handed the MHRA a briefing paper on its clinical trials on paroxetine and children in May 2003. The MHRA's Committee on the Safety of Medicines (CSM) set up an Expert Working Group in February 2003 to investigate SSRIs and safety. In preparation for its first meeting, the MHRA met GSK on 21 May 2003 to make sure GSK had supplied all information relevant to paroxetine and safety, and to discuss Jofre's second Panorama programme about paroxetine, Emails from the edge (2003), which had aired on 11 May. During the programme, Alistair Benbow, head of European psychiatry for GlaxoSmithKline, told Jofre: "We have been asked by the regulatory authorities to provide all our information related to suicides and I can tell you the data that we provide to them clearly shows no link between Seroxat and an increased risk of suicide – no link." Toward the end of the 21 May meeting with the MHRA, GSK handed out a briefing paper dated 20 May. The paper included data from nine clinical trials GSK had conducted on paroxetine and children between 1994 and 2002, including study 329. [n 9] It concluded that "analysis of the safety data demonstrates that paroxetine is generally well tolerated by paediatric patients ...," but suggested a label change to the effect that efficacy had not been established in children with major depressive disorder, and that adverse reactions could include hyperkinesia, hostility, emotional lability and agitation. The paper said these had occurred around twice as much in the paroxetine group than in those taking placebo. By "emotional lability," the document referred in particular to suicidal thoughts and behaviour. Of 20 reports of adverse events in the paroxetine groups, 12 had been suidical thoughts or suicide attempts (none successful), three self-mutilation and five general emotional lability. There had been eight adverse events in the patients taking placebo, of which four were suicidal thoughts or behaviour, one self-mutilation and three emotional lability. The author also suggested a label change regarding withdrawal symptoms, which s/he said had occurred with paroxetine at roughly twice the rate of placebo. The MHRA issued an advisory to physicians in June 2003 not to prescribe paroxetine to the under-18s, and launched a criminal inquiry. According to the MHRA, the data provided "robust evidence" of a causal link between paroxetine and suicidality, and no evidence that paroxetine was effective in treating depression in children. Alasdair Breckenridge, chair of the MRHA at the time, said it caused "a very dramatic change in our thinking about Seroxat and children." GSK was asked to submit the full clinical data, which they did on 27 May. The MHRA wrote: "It was only when the trials were analysed together that the safety issue became apparent." The analysis suggested an increased rate of suicidal thinking and behaviour of 3.4 percent on paroxetine versus 1.2 percent on placebo. The committee concluded that the risks outweighed the benefits, and on 10 June issued an advisory to physicians not to prescribe paroxetine to the under-18s. The US Food and Drug Administration (FDA) followed suit nine days later. The MRHA launched a criminal inquiry in October 2003 into GSK's conduct. This was based on two concerns, namely the length of time between the end of the trials and GSK's passing the safety concerns to the MHRA, and also the manner in which the material had been handed over. Rather than alerting the MHRA of a risk, GSK had supplied the data in relation to an application to extend the indications of paroxetine to children. The MHRA deemed this inappropriate for an urgent safety concern because of the length of time such applications can take. Medical ethicists Linsey Goey and Emily Jackson write that the 1998 SmithKline Beecham position paper, in which the company said it had decided not to show studies 329 and 377 to regulators, represented a prima facie breach of the Medicines Act 1968 and Medicines for Human Use Regulations, which required pharmaceutical companies to pass to the regulator trial data with safety and efficacy implications. The MRHA reviewed one million documents in the course of the inquiry. After a four-year investigation, government lawyers advised that the law was not clear enough to prosecute the company, and the MHRS announced in March 2008 that there would be no charges. In October 2008 the Medicines for Human Use (Marketing Authorisations Etc.) Regulations 1994 were amended to prevent a repetition of the case. In March 2004 the FDA mandated that drug companies review the use of their SSRIs in children. In 2006 GSK researchers published a review of five of their trials involving paroxetine and adolescents or children, including study 329 and the unpublished 377. They wrote that suicidal thinking or behaviour had occurred in 22 of 642 patients on paroxetine (3.4 percent) against 5 of 549 on placebo (0.9 percent). The article concluded that: "Adolescents treated with paroxetine showed an increased risk of suicide-related events. ... The presence of uncontrolled suicide risk factors, the relatively low incidence of these events, and their predominance in adolescents with MDD make it difficult to identify a single cause for suicidality in these pediatric patients. Paroxetine attracted sales of $11.6 billion from 1997 to 2006, including $2.12 billion in 2002, the year before it lost its patent. 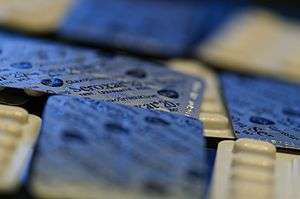 By 2009 GSK had paid almost $1 billion to settle paroxetine-related lawsuits related to 450 suicides, withholding data, as well as addiction, antitrust and other claims. An additional 600 unsettled claims related to birth defects. The lawsuits produced thousands of internal company documents, some of which entered the public domain. These formed the basis of investigative pieces about paroxetine by Alison Bass for The Boston Globe, developed into a book, Side Effects (2008), and four programmes by Shelley Jofre for BBC Panorama beginning in 2002, including one about study 329. 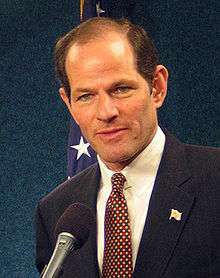 Eliot Spitzer filed a lawsuit against GSK in 2004. In June 2004 New York State Attorney Eliot Spitzer filed a lawsuit against GSK in the New York State Supreme Court for having withheld clinical trial data about paroxetine, including from study 329. GSK denied any wrongdoing and said it had disclosed the data to regulators, and to physicians at medical conventions and in other ways. 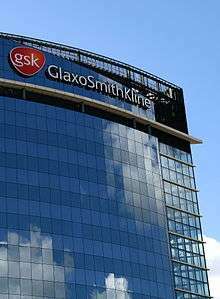 GSK settled the case in August 2004, agreeing to pay $2.5 million, make its trial data about paroxetine and children available on its website, and establish a clinical trial register that would host summaries of all company-sponsored trials going back to 27 December 2000. By October 2004 other drug companies, including Pfizer, Eli Lilly and Merck, had agreed to create their own registers. In 2013 GSK joined AllTrials, a British campaign to have all clinical trials registered and the results reported. In October 2011 the US Department of Justice filed a lawsuit under the False Claims Act accusing GSK of promoting drugs for unapproved uses, failing to report safety data, reporting false prices to Medicaid, and paying kickbacks to physicians in the form of gifts, trips and sham consultancy fees. The complaint included preparing the JAACAP article about study 329, exaggerating paroxetine's efficacy while downplaying the risks, and using the article to promote the drug for adolescent use, which was not approved by the FDA. GSK pleaded guilty in 2012 and paid a $3 billion settlement, including a criminal fine of $1 billion. The fine included an amount for "preparing, publishing and distributing a misleading medical journal article that misreported that a clinical trial of Paxil demonstrated efficacy in the treatment of depression in patients under age 18, when the study failed to demonstrate efficacy." Child psychiatrist Jon Jureidini called for the JAACAP article to be retracted. 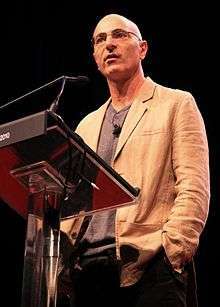 In 2005 philosopher Leemon McHenry complained to the journal that Keller and some of the other researchers named as authors had worked for GSK, but had not declared their conflict of interest. Keller had acted as a consultant for several drug companies. The Boston Globe reported in 1999 that he had earned $500,000 the previous year from consultancy work, which, the newspaper said, he did not disclose to the journals that published his work or to the American Psychiatric Association. Jureidini and McHenry called again for the paper's retraction in 2009. Editor-in-chief Andrés Martin replied that there was no justification for retraction, and that the journal had "conformed to the best publication practices prevailing at the time." In 2013 Jureidini asked GSK's CEO Andrew Witty to request retraction. In July 2013 Jureidini announced his intention to produce a new write-up of study 329 in accordance with the RIAT initiative (restoring invisible and abandoned trials). The RIAT researchers – Joanna Le Noury, John M. Nardo, David Healy, Jon Jureidini, Melissa Raven, Catalin Tufanaru and Elia Abi-Jaoude – published their re-analysis in the BMJ in September 2015. They concluded that "[t]he efficacy of paroxetine and imipramine was not statistically or clinically significantly different from placebo for any prespecified primary or secondary efficacy outcome." They also concluded that there were "clinically significant increases in ... suicidal ideation and behaviour and other serious adverse events in the paroxetine group and cardiovascular problems in the imipramine group." ↑ SmithKline Beecham, October 1998: "Study 329 (conducted in the US) showed trends in efficacy in favour of Seroxat/Paxil across all indices of depression. However, the study failed to demonstrate a statistically significant difference from placebo on the primary efficacy measures." FDA to GlaxoSmithKline, 21 October 2002: "We agree that ... the results from Studies 329, 377, and 701 failed to demonstrate the efficacy of Paxil in pediatric patients with MDD. Given the fact that negative trials are frequently seen, even for antidepressant drugs that we know are effective, we agree that it would not be useful to describe these negative trials in labeling." MHRA, 6 March 2008: "The first trial conducted by SKB, trial number 329, failed to show that Seroxat was effective in treating major depressive disorder in children. ... None of these trials demonstrated efficacy for Seroxat in treating pediatric MDD." 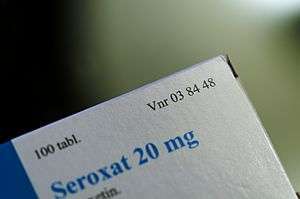 1 2 Wayne Kondro, Barbara Sibbald, Canadian Medical Association Journal, 2004: "Among the 93 adolescents taking Seroxat, there were 5 serious cases of 'emotional lability' (e.g., suicidal ideation/ gestures). Among the 95 patients taking the comparison treatment, imipramine (Tofranil), there was 1 such case, and among the 89 subjects receiving placebo there was also 1. According to the article, only 1 serious adverse event — headache in 1 patient — was considered by the treating investigator to be related to paroxetine treatment." 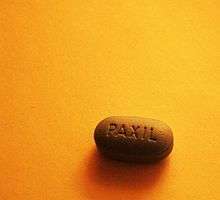 ↑ In August 2001, a month after publication, a member of GSK's Paxil Product Management team sent a memo to "all sales representatives selling Paxil" calling study 329 a "'cutting-edge,' landmark study," and stating that "Paxil demonstrates REMARKABLE Efficacy and Safety in the treatment of adolescent depression." ↑ MRHA, 6 March 2008: "The significance of the data provided in the GSK briefing document was that they represented robust evidence from controlled studies of a causal association between an SSRI and suicidal behaviour. It had previously been argued by some manufacturers that a causal link could not be drawn between suicidality and SSRIs because no link was evident from (adult) clinical trial data. On examination of the full clinical trial data in children submitted by GSK urgently on 27 May 2003 in response to requests from the Agency, it became clear that the evidence base for the safety concern of an increased risk of suicidal behaviour was derived from pooled analysis of all the trials (a meta-analysis). It was only when the trials were analysed together that the safety issue became apparent. These trials had been conducted over a number of years and some had been published in part, however the publications gave an incomplete and partial picture of the full data. Importantly, the trials conducted in a range of conditions in children and adolescents failed to demonstrate that Seroxat was effective in the treatment of depressive illness." ↑ "The United States alleges that, among other things, GSK participated in preparing, publishing and distributing a misleading medical journal article that misreported that a clinical trial of Paxil demonstrated efficacy in the treatment of depression in patients under age 18, when the study failed to demonstrate efficacy." ↑ Melanie Newman, BMJ, 2010: "Study 329's results showed that paroxetine was no more effective than the placebo according to measurements of eight outcomes specified by Martin Keller, professor of psychiatry at Brown University, when he first drew up the trial. "Two of these were primary outcomes: the change in total Hamilton Rating Scale (HAM-D) score, and the proportion of 'responders' at the end of the eight week acute treatment phase (those with a ≥50% reduction in HAM-D or a HAM-D score ≤8). The drug also showed no significant effect for the initial six secondary outcome measures. "The drug only produced a positive result when four new secondary outcome measures, which were introduced following the initial data analysis, were used instead. Fifteen other new secondary outcome measures failed to throw up positive results." ↑ Study 377 was conducted in 33 centres in Europe (Belgium, Netherlands, Italy, Spain, UK), Canada, South America (Argentina and Mexico), South Africa and the United Arab Emirates. ↑ In 1993, for example, STI sent a proposal to GSK for a meeting between its psychiatrist advisory board and Paxil advisory board in the Ritz Carlton Hotel in Palm Beach, Florida. ↑ GSK gave the MHRA data from nine clinical trials it had conducted between April 1994 and September 2002: study 704 (on paroxetine and obsessive-compulsive disorder or OCD); study 676 (social anxiety disorder); studies 329, 377 and 701 (major depressive disorder or MDD); studies 453 and 329 continuation, study 716 (OCD, MDD); and study 715 (OCD, MDD). ↑ The Committee on Publication Ethics states that journal editors should consider retracting an article if, inter alia, "they have clear evidence that the findings are unreliable, either as a result of misconduct ... or honest error." ↑ "Medication guide Paxil", FDA, June 2014: "Paxil and other antidepressant medicines may increase suicidal thoughts or actions in some children, teenagers, or young adults within the first few months of treatment or when the dose is changed." ↑ Sarah E. Hetrick, et al, 2012: "Caution is required in interpreting the results given the methodological limitations of the included trials in terms of internal and external validity. Further, the size and clinical meaningfulness of statistically significant results are uncertain. However, given the risks of untreated depression in terms of completed suicide and impacts on functioning, if a decision to use medication is agreed, then fluoxetine might be the medication of first choice given guideline recommendations. Clinicians need to keep in mind that there is evidence of an increased risk of suicide-related outcomes in those treated with antidepressant medications." 1 2 Jef Feeley, Margaret Cronin Fisk, "Glaxo Said to Have Paid $1 Billion in Paxil Suits (Update2)", Bloomberg, 14 December 2009. ↑ "New look at antidepressant suicide risks from infamous trial", New Scientist, 16 September 2015. 1 2 3 4 5 6 "Seroxat/Paxil Adolescent Depression: Position piece on the phase III clinical studies", SmithKline Beecham, October 1998. ↑ FDA to GlaxoSmithKline, 21 October 2002. ↑ "MHRA Investigation into GlaxoSmithKline/Seroxat", MHRA, 6 March 2008, p. 2, para. 2. 1 2 3 Zachary Hawkins, "To all sales representatives selling Paxil", Paxil Product Management, GlaxoSmithKline, 18 August 2001. 1 2 3 MHRA, 6 March 2008, p. 5, para. 12. 1 2 "FDA statement regarding the anti-depressant Paxil for pediatric population", FDA, 19 June 2003. 1 2 "GSK investigation concludes", MHRA press release, 6 March 2008; MHRA, 6 March 2008, p. 7ff. MHRA to GSK, 6 March 2008; "Transcription of a meeting at MHRA about Seroxat", MHRA meeting with patient group, 29 April 2008. ↑ Emily Jackson, Law and the Regulation of Medicines, Bloomsbury Publishing, 2012, p. 109; Gardiner Harris, "Maker of Paxil to Release All Trial Results", The New York Times, 27 August 2004. 1 2 3 "GlaxoSmithKline to Plead Guilty and Pay $3 Billion to Resolve Fraud Allegations and Failure to Report Safety Data", United States Department of Justice, 2 July 2012. United States v. GlaxoSmithKline, United States District Court for the District of Massachusetts, 26 October 2011 (for paroxetine, pp. 3–19). ↑ Isabel Heck, "Controversial Paxil paper still under fire 13 years later", The Brown Daily Herald, 2 April 2014. Sarah Boseley, "Seroxat study under-reported harmful effects on young people, say scientists", The Guardian, 16 September 2015. ↑ For university or hospital psychiatric departments, "Paroxetine (Seroxat) – Variation assessment report", MHRA, 4 June 2003, p. 6. ↑ Firestone, Chaz & Kelsh, Chaz. "Keller’s findings on Paxil disputed by doctors, FDA", The Brown Daily Herald, 24 September 2008. ↑ "Study drug: BRL29060/Paroxetine (Paxil)", SmithKline Beecham, 20 August 1993, amended 24 March 1994. ↑ Keller 2001, p. 763. ↑ Keller 2001, p. 764. ↑ Keller 2001, p. 765. 1 2 3 4 Keller 2001, p. 769. ↑ "Paroxetine (Seroxat) – Variation assessment report", MHRA, 4 June 2003, p. 8. ↑ Memo from Jackie Westaway, 14 October 1998. 1 2 3 Sally K. Laden, John A. Romankiewicz, "Adolescent Depression Study 329: Proposal for a Journal Article", Scientific Therapeutics Information, Inc, 3 April 1998. ↑ John A. Romankiewicz, "Paxil Advisory Board Meeting, Scientific Therapeutics Information, 1 October 1993. ↑ Deposition of Sally K. Laden, United States District Court, Northern District of California, 15 March 2007. ↑ Sally Laden to Jim McCafferty, 18 December 1998. ↑ Caroline Pretre (STI) to Martin Keller, 6 February 2001. ↑ Newman 2008, p. 1247; Sally Laden to Jim McCafferty, 7 December 1999. 1 2 3 Jureidini 2008, p. 77; James McCafferty to Sally Laden, 21 July 1999. ↑ Newman 2008, p. 1247; Sally Laden–Michael Strober–Boris Birmaher correspondence, 24 August 2000, courtesy of DIDA. ↑ Sally Laden to SmithKline Beecham, 11 January 2001. ↑ Keller 2001, pp. 770–771. 1 2 The People of the State of New York against GlaxoSmithKline, 2 June 2004, p. 2, para. 3. ↑ MHRA, 6 March 2008, p. 2, para. 3. ↑ Sally Laden to Jim McCafferty, 7 August 2001; Alison Bass, Side Effects, Algonquin Books, 2008, p. 171. Sally Laden to the Paxil Marketing Team, 25 April 2001; SmithKline Beecham to Sally Laden, 27 April 2001. 1 2 The Secrets of Seroxat, BBC News, 13 October 2002; Emails from the edge, BBC News, 11 May 2003; Taken on Trust, BBC News, 21 September 2004 (Panorama aired 3 October 2004); Secrets of the Drug Trials, BBC Panorama, 29 January 2007 ("Company hid suicide link", BBC News, 29 January 2007). 1 2 MHRA, 6 March 2008, p. 3, para. 7. ↑ MHRA, 6 March 2008, p. 2, para. 2. 1 2 3 MHRA, 6 March 2008, p. 4, para. 11. For the GSK briefing paper, "Seroxat (paroxetine) – safety and efficacy in the pediatric population", Committee on the Safety of Medicines, MHRA, 22 May 2003, Annex 1. Also see "Paroxetine (Seroxat) – Variation assessment report", MHRA, 4 June 2003, p. 5. ↑ MHRA, 6 March 2008, p. 4, para. 8. ↑ Alistair Benbow, Transcript, Emails from the Edge, BBC Panorama, 11 May 2003. ↑ "Seroxat (paroxetine) – safety and efficacy in the pediatric population", Committee on the Safety of Medicines, MHRA, 22 May 2003, p. 9, table 1. 1 2 "Seroxat (paroxetine) – safety and efficacy in the pediatric population", 22 May 2003. Section 5.2.5, p. 27, for twice that of placebo; section 5.2.5.3, p. 29, for figures about suicidal thoughts/attempts; section 5.4, p. 32, for the rest. 1 2 Gordon Duff, "Safety of Seroxat (paroxetine) in children and adolescents under 18 years – contradindication in the treatment of depressive illness", Committee on Safety of Medicines, 10 June 2010. ↑ Shelley Jofre, "Taken on Trust," BBC Panorama, 3 October 2004. ↑ "Paroxetine (Seroxat) – Variation assessment report", MHRA, 4 June 2003, p. 16. ↑ MHRA, 6 March 2008, pp. 5–6, para. 16–17. ↑ Jackson 2012, p. 109; McGoey and Jackson 2009, p. 108. ↑ MHRA, 6 March 2008, p. 7, para. 21. ↑ McGoey and Jackson 2009, p. 107. ↑ The People of the State of New York against GlaxoSmithKline, 2 June 2004. Abigail Kagle, "Driven to Settle: Eliot Spitzer v. GlaxoSmithKline and Undisclosed Clinical Trials Data Regarding Paxil", University of Columbia Law School, undated, p. 4. ↑ Kagle, pp. 7–8; Jackson 2012, p. 109; Gardiner Harris, "Maker of Paxil to Release All Trial Results", The New York Times, 27 August 2004. 1 2 3 Newman 2010, p. 1247. Also see Letter from Jon Jureidini to Mina K. Dulcan, 26 December 2002, courtesy of Healthy Skepticism. ↑ Elizabeth Wager, et al, "Retraction guidelines", Committee on Publication Ethics, September 2009. ↑ Alison Bass, "Drug companies enrich Brown professor", The Boston Globe, 4 October 1999. ↑ Jon Jureidini, Jon Jureidini to Andrew Witty (GSK), 26 April 2013. Jon Jureidini–GSK correspondence, BMJ, 347, 12 November 2013. ↑ "Antidepressant Use in Children, Adolescents, and Adults", FDA, 2 May 2007. Food and Drug Administration. "FDA statement regarding the anti-depressant Paxil for pediatric population", 19 June 2003. Food and Drug Administration. "Antidepressant Use in Children, Adolescents, and Adults", 2 May 2007. Food and Drug Administration. "Medication guide Paxil", June 2014. GlaxoSmithKline. "Seroxat: Statement from GlaxoSmithKline", BBC News, 29 January 2007. Hawkins, Zachary. "To all sales representatives selling Paxil", Paxil Product Management, GlaxoSmithKline, 18 August 2001, courtesy of the Drug Industry Document Archive, University of California, San Francisco. Jureidini, Jon. Jon Jureidini to Mina K. Dulcan, 26 December 2002. Jureidini, Jon. Jon Jureidini to Andrew Witty (GSK), 26 April 2013. Laden, Sally K.; Romankiewicz, John A. "Adolescent Depression Study 329: Proposal for a Journal Article", Scientific Therapeutics Information, Inc, 3 April 1998. Laden, Sally K. Sally Laden to Jim McCafferty, 7 December 1998. Laden, Sally K. Sally Laden to Jim McCafferty, 18 December 1998. Laden, Sally K. Sally Laden–Michael Strober–Boris Birmaher correspondence, 24 August 2000. Laden, Sally K. Sally Laden to the Paxil Team, 11 January 2001. Laden, Sally K. Sally Laden to the Paxil Marketing Team, 25 April 2001. Laden, Sally K. Sally Laden to Jim McCafferty, 7 August 2001. Deposition of Sally K. Laden, in Cheryl J. Cunningham v. SmithKline Beecham and William P. Williams v. SmithKline Beecham, United States District Court, Northern District of California, 15 March 2007. McCafferty, James P. James McCafferty to Sally Laden, 21 July 1999. Medicines and Healthcare Products Regulatory Agency. "MHRA Investigation into GlaxoSmithKline/Seroxat", MHRA, 6 March 2008. Medicines and Healthcare Products Regulatory Agency. "GSK investigation concludes", MHRA press release, 6 March 2008. Medicines and Healthcare Products Regulatory Agency. MHRA to GSK, 6 March 2008. Medicines and Healthcare Products Regulatory Agency. 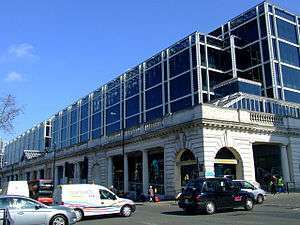 "Transcription of a meeting at MHRA about Seroxat", MHRA meeting with patient group, 29 April 2008. Pretre, Caroline. Caroline Pretre to Martin Keller, 6 February 2001. Romankiewicz, John A. "Paxil Advisory Board Meeting, Scientific Therapeutics Information, 1 October 1993. SmithKline Beecham. "Seroxat/Paxil Adolescent Depression: Position piece on the phase III clinical studies", October 1998. Westaway, Jackie. SmithKline Beachem memo, 14 October 1998. The People of the State of New York against GlaxoSmithKline, Supreme Court of the State of New York, 2 June 2004. United States v. GlaxoSmithKline, United States District Court for the District of Massachusetts, 26 October 2011. United States Department of Justice. "GlaxoSmithKline to Plead Guilty and Pay $3 Billion to Resolve Fraud Allegations and Failure to Report Safety Data", 2 July 2012. Bass, Alison, "Drug companies enrich Brown professor", The Boston Globe, 4 October 1999. Bass, Alison. Side Effects, Algonquin Books, 2008. Goldacre, Ben. Bad Pharma, Fourth Estate, 2013 . Firestone, Chaz & Kelsh, Chaz. "Keller’s findings on Paxil disputed by doctors, FDA", The Brown Daily Herald, 24 September 2008. Heck, Isabel. "Controversial Paxil paper still under fire 13 years later", The Brown Daily Herald, 2 April 2014. Jackson, Emily. Law and the Regulation of Medicines, Bloomsbury Publishing, 2012. Jureidini, Jon N.; McHenry, Leemon B. "Conflicted Medical Journals and the Failure of Trust" Accountability in Research 18 2011, pp. 45-54. Kagle, Abigail. "Driven to Settle: Eliot Spitzer v. GlaxoSmithKline and Undisclosed Clinical Trials Data Regarding Paxil", University of Columbia Law School, undated. Neville, Simon. "GlaxoSmithKline fined $3bn after bribing doctors to increase drugs sales", The Guardian, 3 July 2012. Thomas, Katie; Schmidt, Michael S. "Glaxo Agrees to Pay $3 Billion in Fraud Settlement", The New York Times, 2 July 2012. Drug Industry Document Archive, University of California, San Francisco. "Paxil Study 329: Paroxetine vs Imipramine vs Placebo in Adolescents", Healthy Skepticism. Healy, David. Pharmageddon, University of California Press, 2012, p. 109ff. Fugh-Berman, Adriane. "Not in my name", The Guardian, 21 April 2005. Weintrob, Alex. "Paroxetine in adolescent major depression", Journal of the American Academy of Child and Adolescent Psychiatry, 41(4), April 2002, pp. 363–364. Parsons, Mitch. "Paroxetine in adolescent major depression", 41(4), April 2002, p. 364. Keller, Martin; Ryan, Neal D.; Wagner, Karen Dineen. "Paroxetine in adolescent major depression", 41(4), April 2002, p. 364. Jureidini, Jon; Tonkin, Ann. "Paroxetine in major depression", 42(5), May 2003 p. 514. Keller, Martin, et al. "Paroxetine in major depression", 42(5), May 2003, pp. 514–515. Connor, Daniel F. "Paroxetine in major depression", 43(2), February 2004, p. 127. Jon Jureidini–James Shannon (GSK) correspondence, BMJ, 347, 12 November 2013.